Drinking water quality measures worldwide have reached historic highs. Today, an estimated 71 percent of the global population has access to safe drinking water, according to researchers from the World Health Organization. The U.S. boasts some of the cleanest supplies on the planet, as 94 percent of its residents can take advantage of pollutant-free aquifers, pipes and fixtures. Numerous parties laid the foundation for this progress, here and abroad. From government institutions and nonprofit organizations to private enterprises, countless entities have contributed to drinking water decontamination efforts across the globe. Surprisingly, chemical companies are among these H20-conscious groups. 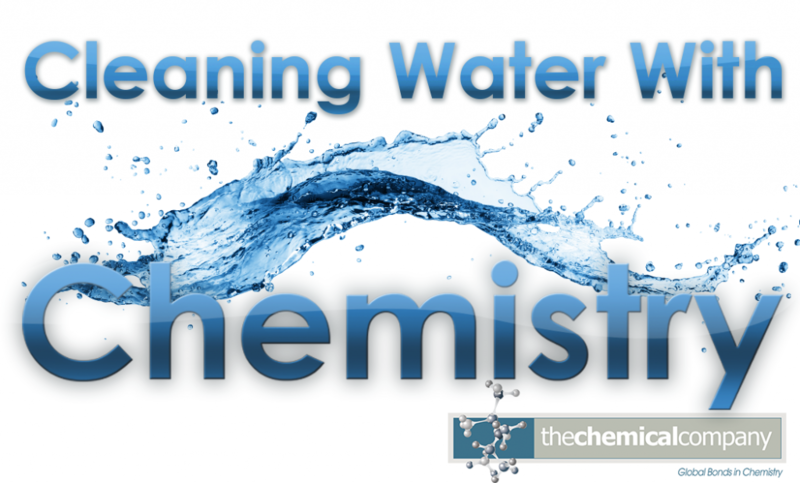 Businesses within the global chemicals space have long provided the synthetic materials needed for water treatment operations. These organizations produced more than $24 billion worth of such products in 2018 alone and are expected to generate another $25 billion in water treatment chemicals this year, according to projections from BlueWeave Consulting and Research. In short, chemical companies play an essential role in drinking water decontamination programs and will continue to do so as these initiatives expand. Coagulation and flocculation: Water treatment teams introduce positively-charged chemicals to untreated water. This neutralizes the negative charges carried by dissolved sediment and draws these particles together, creating larger, easier-to-handle dirt flecks called floc. Sedimentation: The floc sinks to the bottom of the supply and settles there. Filtration: With the larger contaminants resting at the base of the supply, water treatment personnel run the purified water above through a series of filters that collect particles still present in the H20, including charcoal, gravel and sand. These fixtures also catch microorganisms such as bacteria, parasites and viruses. Disinfection: Following filtration, a number of disinfectants are put into the supply to eliminate any lingering bacteria and inoculate the water against any of the germs it might pick up will traveling through delivery infrastructure. This water purification methodology has proven extremely effective domestically, despite the scale at which it is deployed. However, this is not the only strategy communities around the world use to rid their supplies of harmful particles. For instance, some leverage slow sand filtration, a much simpler and more cost-effective technique, according to the WHO. That said, the approach outlined above is perhaps the most dominant water treatment procedure in Western nations with access to ample capital and manpower. Enterprises within the chemical production arena provide the solutions that propel the water treatment process deployed here in the States. Aluminum sulfate and other inorganic substances are used during the coagulation process, neutralizing the charged ions attached to dangerous contaminants and making them more manageable, per the Minnesota Rural Water Association. Chemicals facilitate flocculation too. All manner of molecular polymers are used here, lending loosened particles the magnetic attraction that allows them to bunch and sink the bottom of supplies in the moments before sedimentation. And finally, chemical compounds make drinking water disinfection possible at scale, according to the American Chemistry Council. Chlorine is the dominant product here and has been for more than a century. The U.S. and Canadian government began using chlorine to treat drinking water during the early 1900s and have relied heavily on the chemical ever since. Why? Chlorine is an effective germ killer and can easily dispatch waterborne microorganisms, while keeping funguses and harmful chemicals such as ammonia and nitrogen at bay. It eliminates unwanted tastes and odors as well. Together, these features make it an ideal compound for use in this essential industrial niche. While the chemical companies and other entities that support water treatment operations in the U.S. and abroad have managed to achieve significant success, numerous challenges lie ahead. Crumbling infrastructure is perhaps the most pressing for all parties. The American national drinking water delivery system, which is centered on fixtures installed 75 to 100 years ago, is falling apart, according to field analysis from the American Society of Civil Engineers. For chemical companies, other infrastructure problems, including deteriorating domestic railways, roadways and waterways, complicate logistics, creating further water supply risk. In addition to infrastructure-related hardships, chemical companies are coping with product-centric issues related to the increased regulation of disinfection byproduct, per the ACC. However, chemical companies are up to the task. Many are providing products to supplement decaying water delivery infrastructure and ensure communities can access safe H20. They are also adjusting their supply chains to combat logistical issues and looking into new disinfectants to meet federal regulations and put residents at ease. In the end, these efforts will strengthen the industry and, by extension, the water treatment operations it supports across the globe.